Created exclusively for customers in Dubai, the limited edition model features a Carrara White exterior with an Emerald Green coachline and Peacock emblems which celebrate the national bird of India. 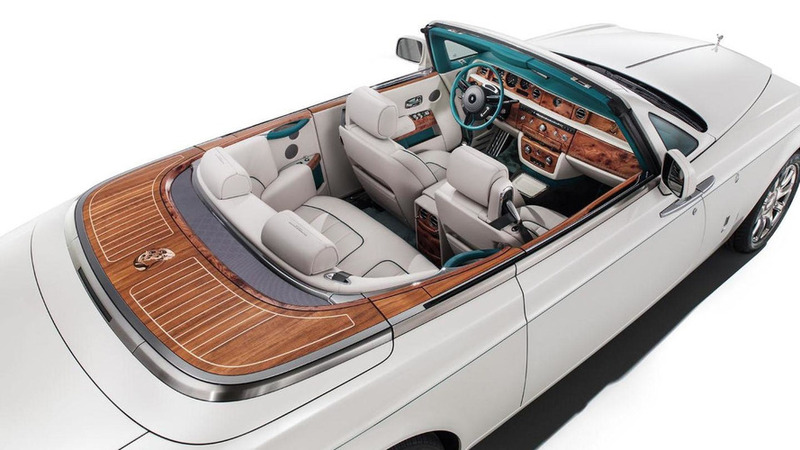 Rolls-Royce has unveiled their new Maharaja Phantom Drophead Coupe. Created exclusively for customers in Dubai, the limited edition model features a Carrara White exterior with an Emerald Green coachline and Peacock emblems which celebrate the national bird of India. The convertible also has a Deep Green roof which retracts to reveal an elegant interior and luxurious wood decking. Speaking of the cabin, it has Crème Light leather and Emerald green accents. 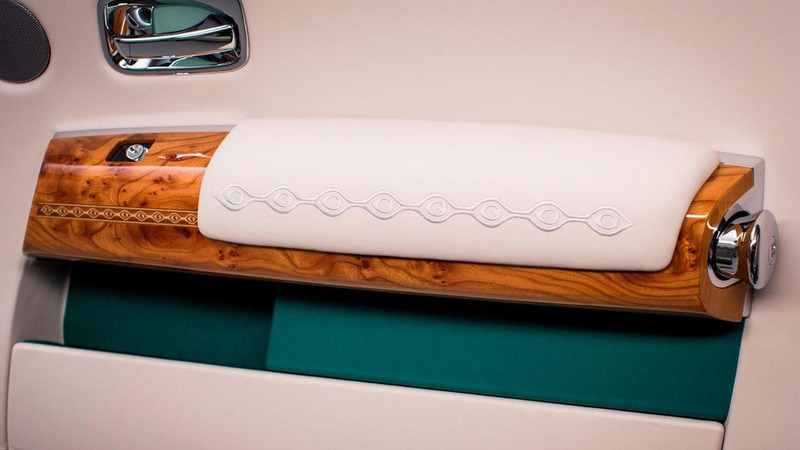 There's also embroidered headrests, peacock-inspired styling cues and marquetry inlay on the dashboard and arm rests. According to Rolls-Royce, the model celebrates the Golden Age of the Raja when "India’s Princes and Maharajas collectively engaged in what is described as one of the world’s longest relationships with one automobile manufacturer." As the company explains, Maharajas purchased over 840 Rolls-Royce vehicles over a period of fifty years.